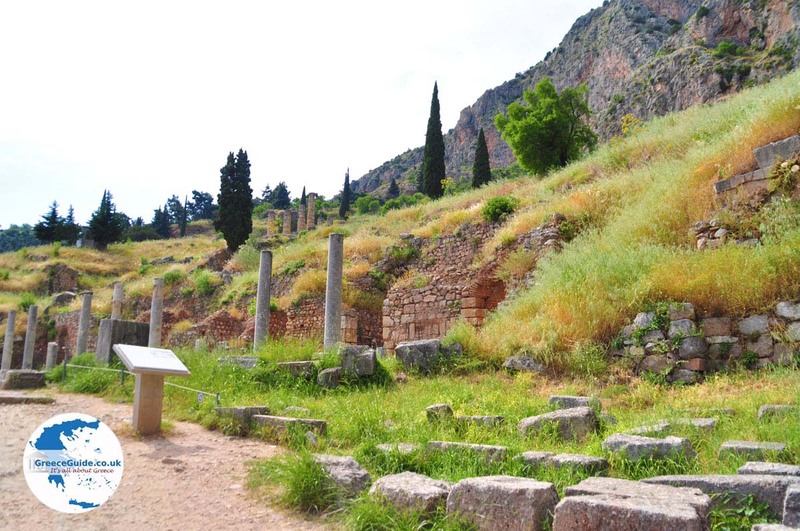 Delphi. 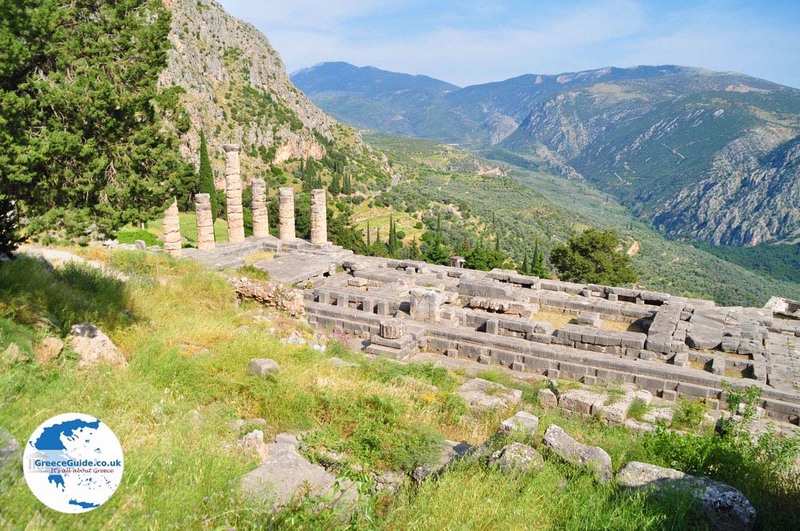 Archaeological Delphi, with the shrine and the oracle of Apollo the god of light, was considered as the "navel of the earth" by the ancients. 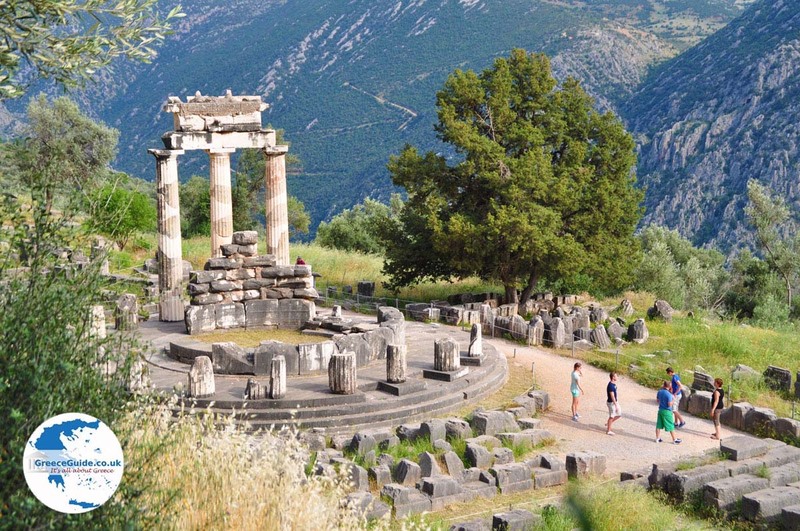 Delphi was the largest religious and spiritual center of ancient Greece, with a fame and authority that radiated throughout the Mediterranean area. From countries in the farthest reaches of the world, official delegations came to see how predictions of the priestess of the god stands on important issues, like war and peace, but there were also ordinary people with their personal problems. 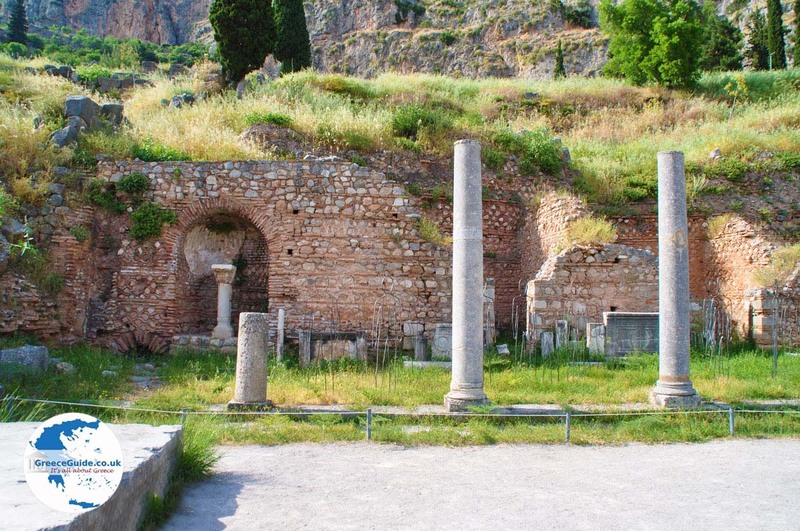 The glory of the oracle continued almost unabated throughout antiquity, but with the rise of Christianity and the disappearance of idolatry, the shrine fell into disrepair and finally completely obsolete. 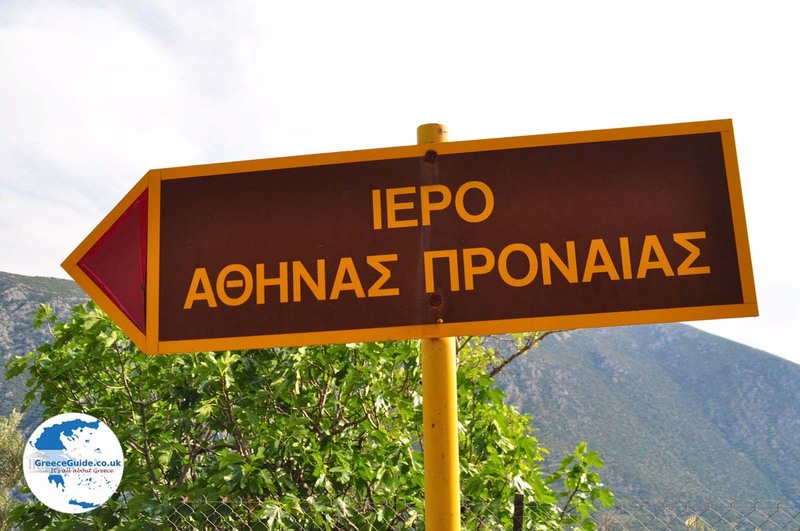 According to the legend, two eagles which Zeus had sent down from the remotest corners of the universe, stroke here, to determine the center of the world. 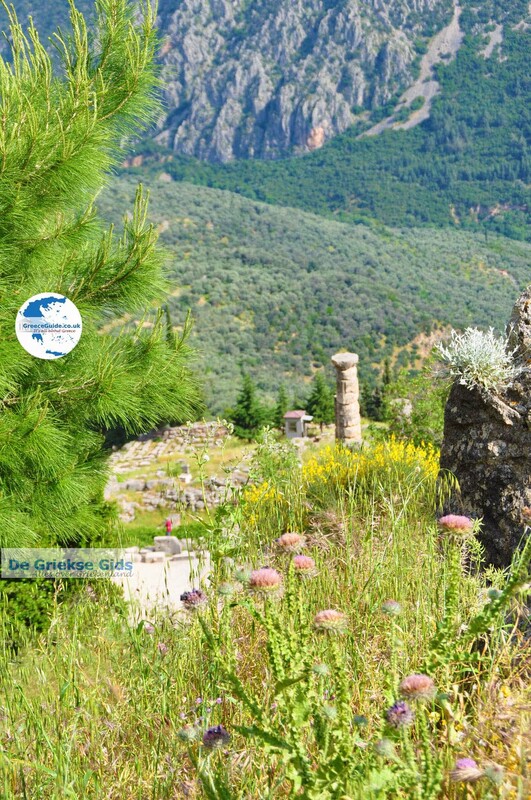 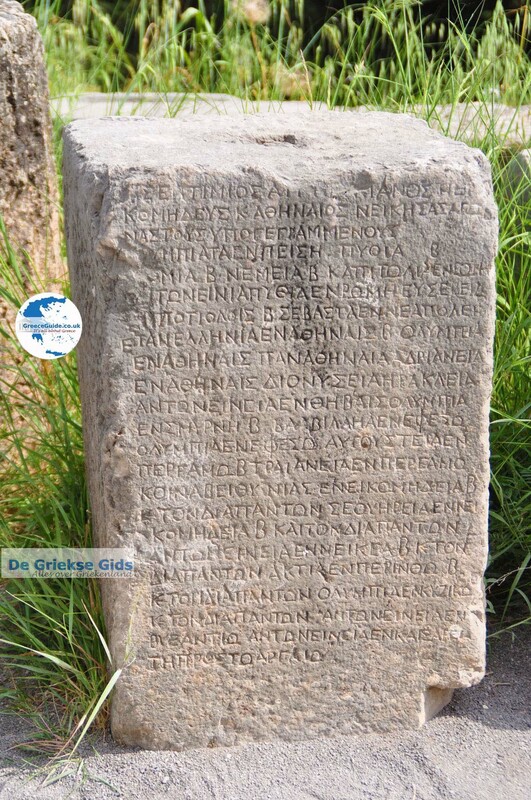 On the basis of this myth, the Greeks believed that the navel stone of Delphi was the geographical center of the earth. 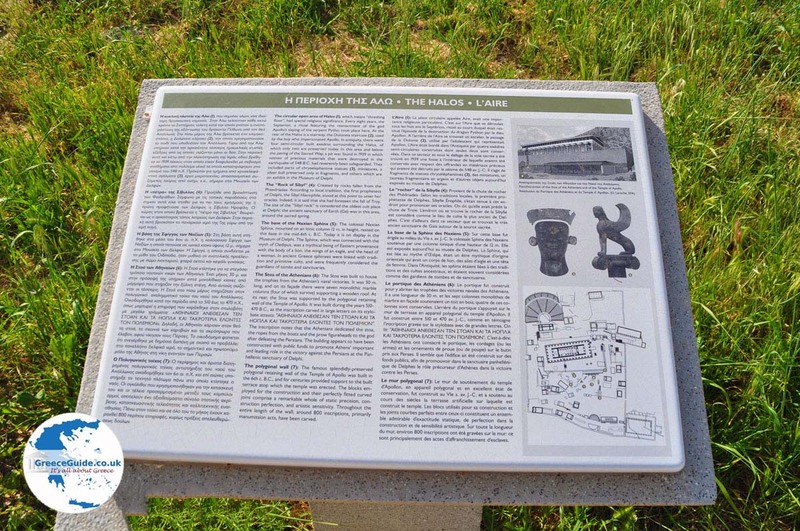 This emphasized the importance attached to this place once more. 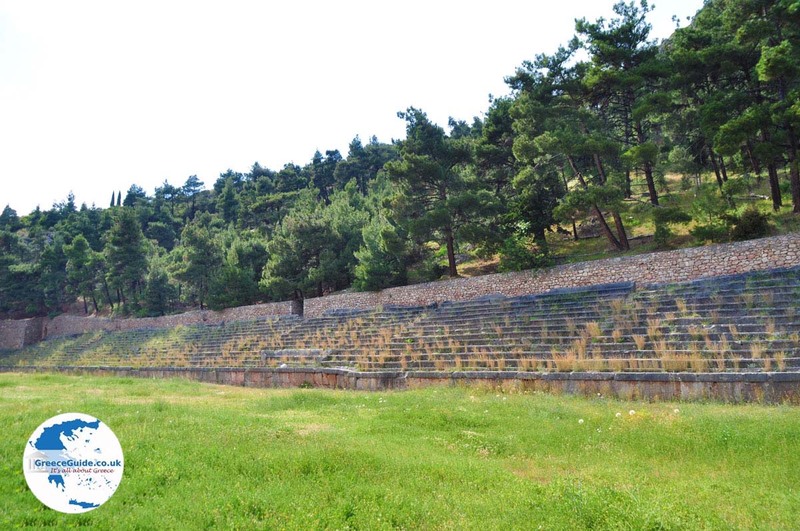 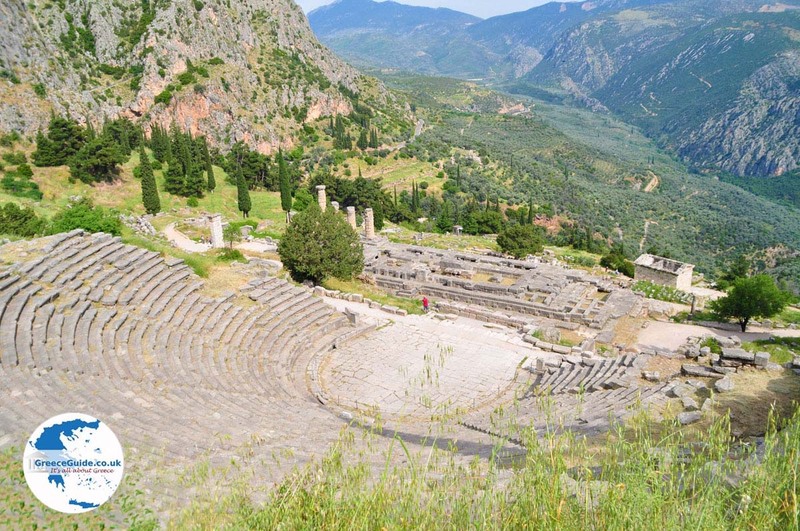 The sanctuary of Apollo at Delphi is terraced on a slope, at the foot of the Parnassos. 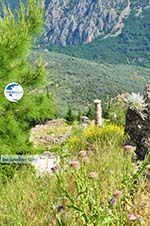 The location at the Fedriaden Rocks, with a high cliff that rises almost vertically behind it, and at the background the Gulf of Itea, is breathtaking. 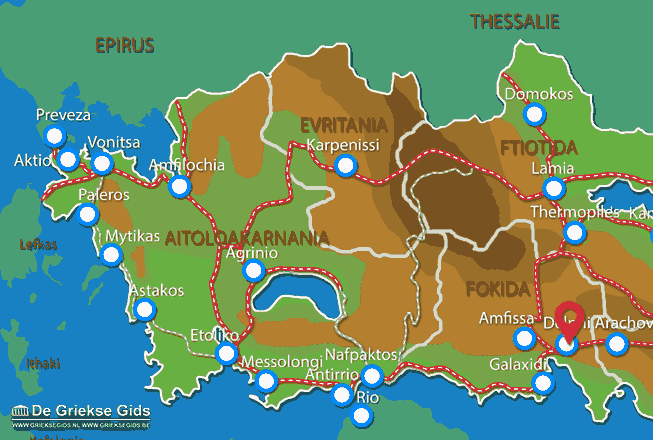 Fokida: Where on the map is Delphi located?